Well, it seems this random Thursday is officially the day for confirming longstanding gaming rumors. 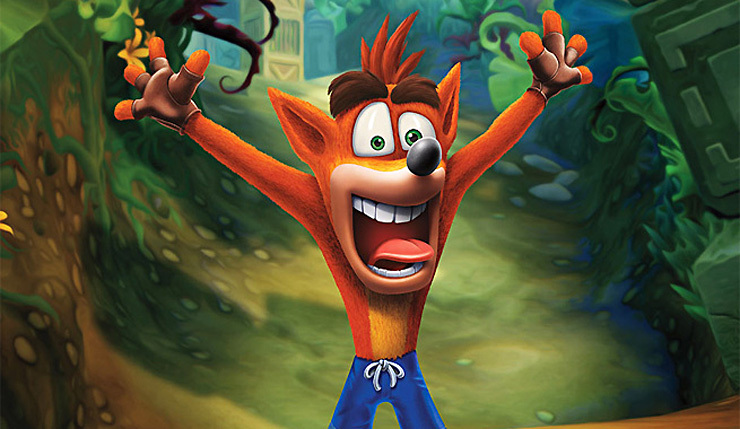 Ever since Crash Bandicoot N. Sane Trilogy came out for PS4 last year, there’s been chatter the game would eventually go multiplatform, and now Activision has made it official – Crash will be spinning his way onto new systems early this summer. The news was actually first confirmed via today’s Nintendo Direct, but Activision later announced N. Sane Trilogy will be coming to PC and Xbox One, as well. The number one selling remastered collection in PlayStation 4 history is heading to new platforms! Activision is excited to announce players will be able to experience all that the Crash Bandicoot N. Sane Trilogy has to offer on the Nintendo Switch, Xbox One, and PC via Steam. This marks the debut of everyone’s favorite marsupial on the PC, and it has been a decade since he has appeared on a Nintendo or Xbox console! So welcome back, Crash. You’re about to get a lot more UMPH in your WUMP! No word yet on whether Crash Bandicoot N. Sane Trilogy will be getting any enhancements or extra features on the new platforms. Can we expect true (rather than checkerboard) 4K on the PC and Xbox One X? Will we get some sort of touchscreen or motion controls on Switch? I have a feeling these may be fairly barebones ports, but I’d be glad to be proven wrong! Crash Bandicoot N. Sane Trilogy hits PC, Xbox One, and PS4 on July 10.